The Preset 368LR tool presetter is a precise measuring instrument which is quick to set-up and easy to use. 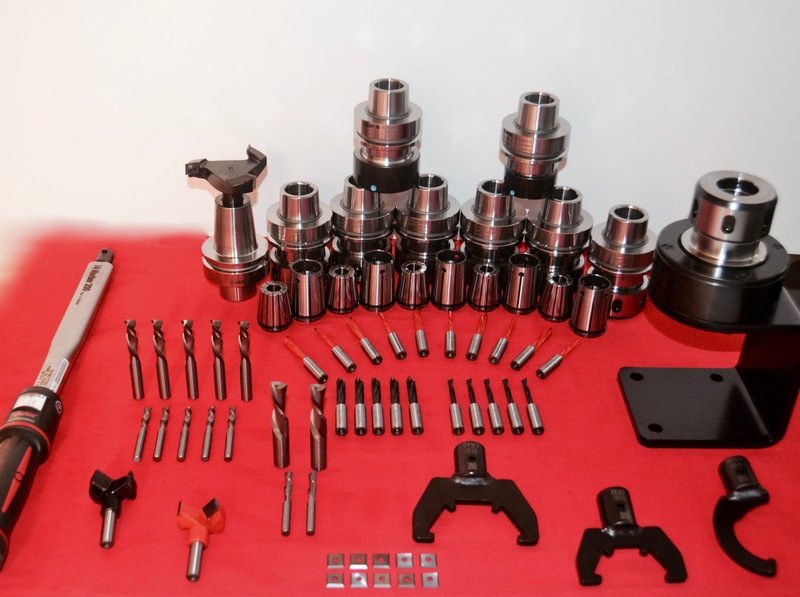 It has been designed to meet the needs of the CNC machine operator to take the headache (you’re welcome!) 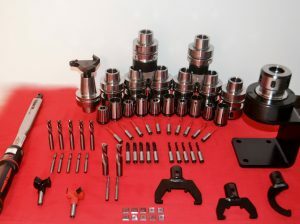 out of setting up tooling. If you’re interested in reducing down time, increasing accuracy, reducing material cuts (no test cuts) and quality control then the Preset P368LR is the one for you! For more information please contact us and we would be happy to answer any questions you might have. Make tool setup a snap! 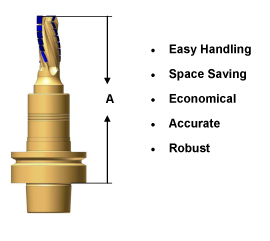 Streamlining and optimizing production, calls for creating an efficient operational sequence when routing, milling and boring. That includes highly accurate tool measurement and setup, as after each tool change, the new tool data must be programmed into the machining center/router in order to maintain consistent machining results as accuracy is paramount. When firmly secured to a work bench, the Digitec Measuring System offers a safe and effective way to check and prepare your tooling before it is put into the machine, reducing test cuts and wasted time and material. The Digitec measuring system makes tool setup simple. The tool length dimension A (see image below) of single or multi-part tools with HSK63F or 63E holders can be measured quickly and precisely up to a maximum height of 270mm (10.63”). This basic tool setup fixture makes tool setup quick and easy. 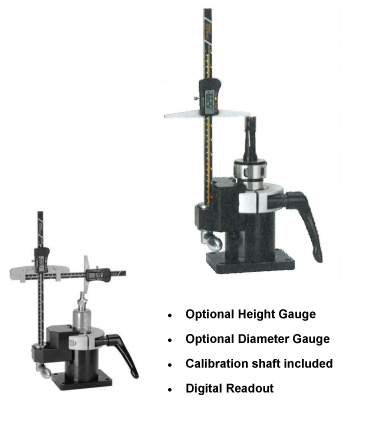 As needed, the height gauge and diameter gauge are both individually available with optional accessories that provide you with a complete tool measurement system! Interested in increasing accuracy while saving time on tool changes? 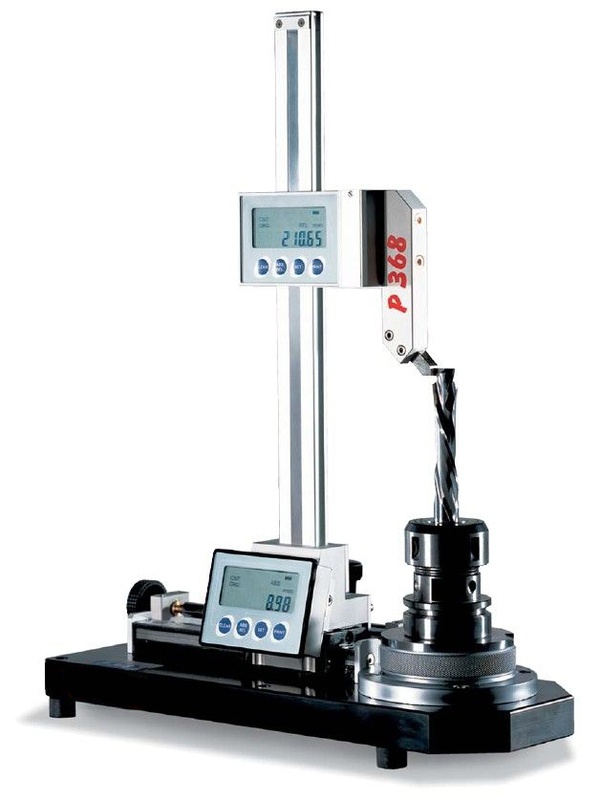 Contact us now for more information on the Digitec Measuring System or any of our basic tool setup fixtures.